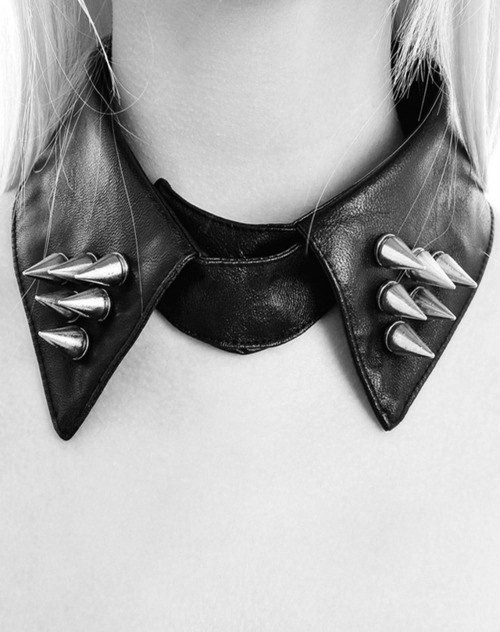 Bonersaurus rex: DIY- Studded Collar. So this is my 1st DIY. 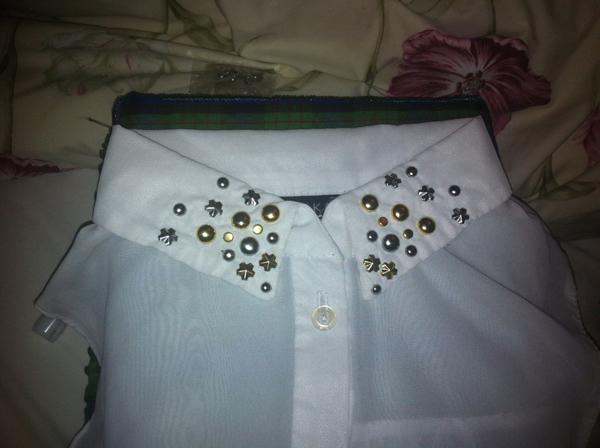 Not really a DIY, no skill needed or anything. 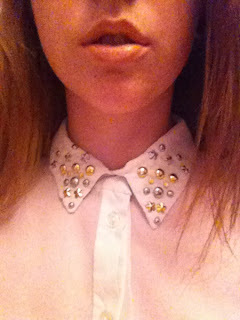 So here it is: Babies 1st fashion DIY - The Studded Collar. 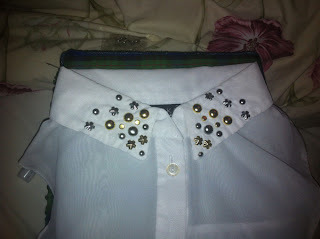 I just used basic metal studs with the spikes in the back. Heres me looking extra pouty in my new shirt. So its all very simple! just push in the studs and fold down the spikes! 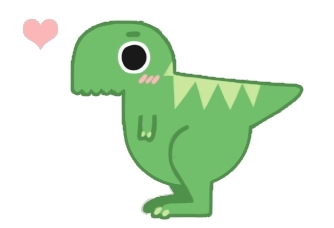 heres some images that inspired this look.